Bit of a dip into the past from me today. I enjoy writing about what I've been up to, and I've previously done posts on holidays like my trip to Paris last year so I thought I'd share another holiday with you today from 2011. 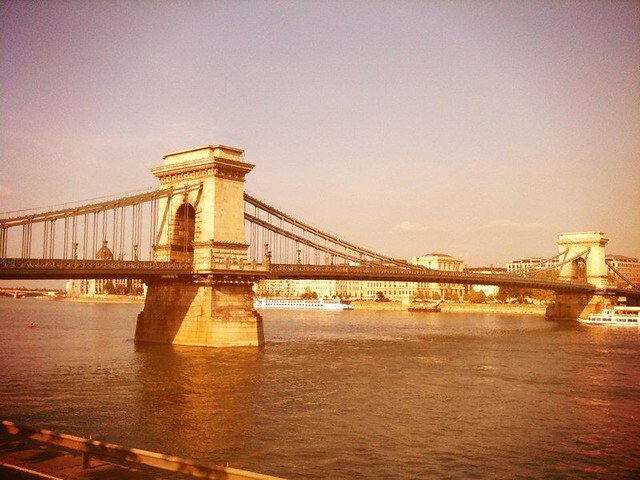 Budapest was B and I's first abroad holiday together. We chose it after looking at what cities in Europe you could fly to from Edinburgh and narrowing it down to the places we fancied visiting. 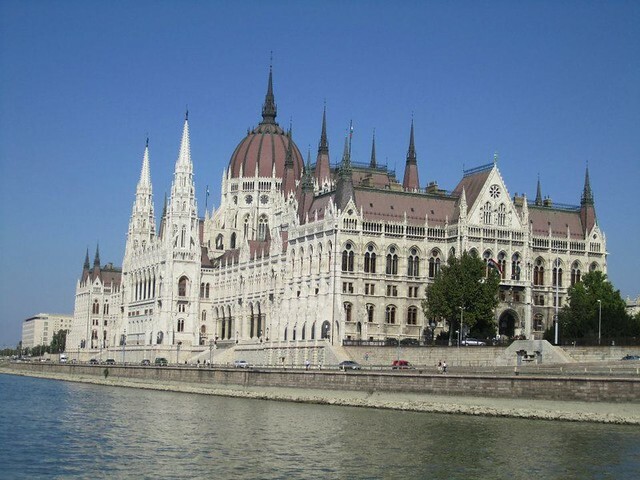 I'll be honest, I pretty much knew nothing about Budapest so it was B who suggested it and after a quick browse on Google images I saw how pretty it looked and was sold. 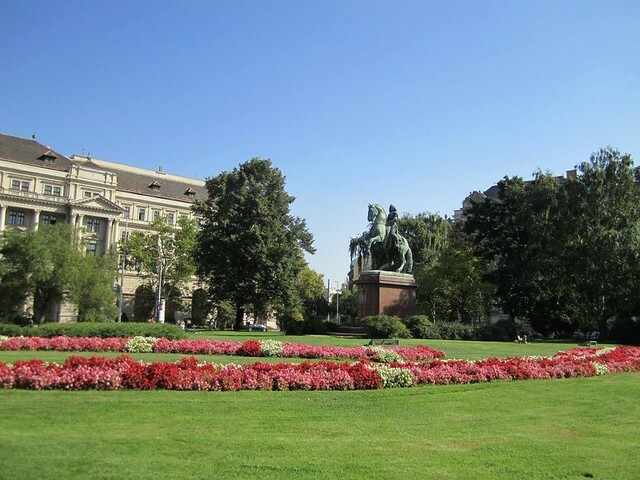 It's a really lovely city - the architecture is beautiful and it's ideal for a romantic break as there are so many pretty places to go for a walk, or just sit and take in the views of the city. Given my day job (online marketing for hotels) I'm pretty picky when it comes to accommodation so I spent a LOT of time researching hotel options before we finally made a booking. We eventually settled on Lord Apartments as they looked nice and modern and were near a supermarket (Tesco!) and transport links (2 mins walk from a metro and the main tram line). The apartment was ideal for us - it had a little kitchen area where we cooked all of our meals (we didn't eat out once so saved loads of money - even if we did pretty much eat bread, crisps, and pesto pasta every day, ha), a flat screen TV with DVD player (we brought a bunch of DVDs with us for watching at night), and an air con unit which was much needed! As I mentioned, it was close to all the main transport links and we had planned on buying a 4 day travel pass so we could hop on/off trams, trains and metros the whole trip but we actually ended up walking pretty much everywhere as we discovered that we were fairly central (about a 10 min walk from the parliament and the river). We're more city break sightseeing types than lounging at the pool beach holiday types, and B is a history graduate so our plans for the trip were to visit lots of historic places. Budapest is famed for its baths but we didn't actually visit any on the holiday, to be honest it didn't really appeal to me (I'm not really the spa type!). I'm a very organised person when it comes to a holiday so we had an itinerary all planned out beforehand and managed to make our way through everything on our list. I've picked out my favourite bits from the trip, I'd definitely recommend checking these out if you're planning on visiting Budapest. 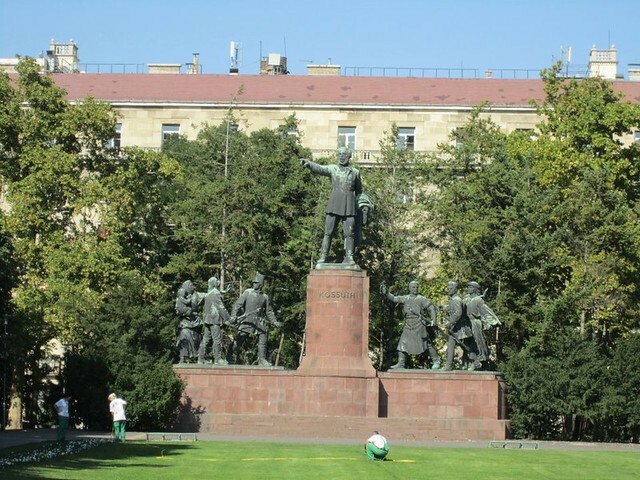 The statue park is exactly as it sounds - a park (well.....it actually feels more like a huge abandoned car park) full of statues of communist dictators many of which were removed from the city after the fall of the communist regime. It's outwith the city centre so you have to get a bus out there which takes about an hour. It's a really bizarre place, first of all it's in the middle of nowhere (we thought we'd got off at the wrong bus stop at first), and secondly it's quite an eery experience, especially if it's empty like it was when we were there. 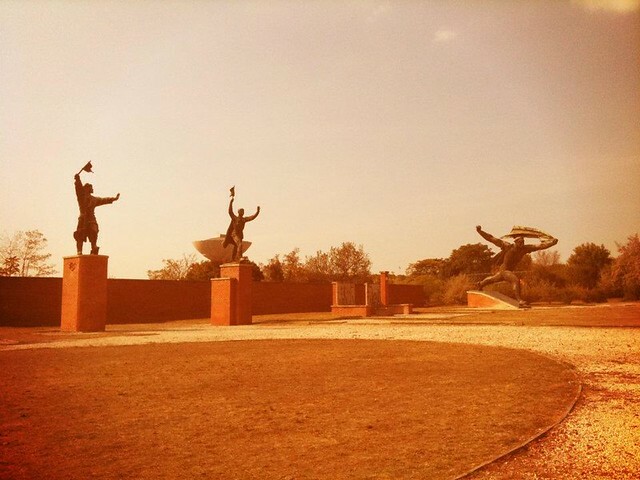 I found it so interesting though seeing all the different statues and imagining them being in the cities (especially the MASSIVE ones). 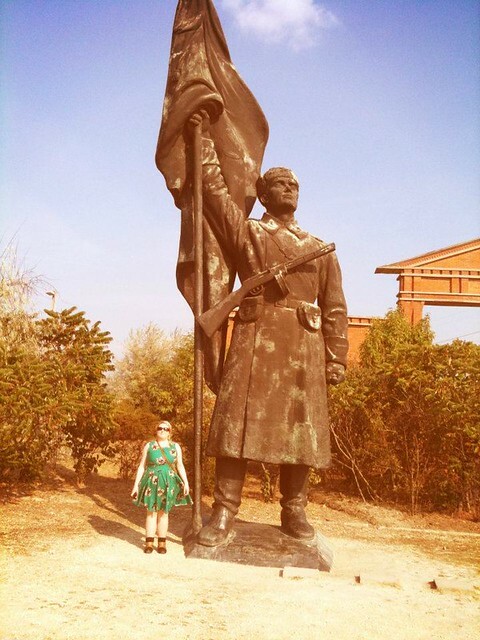 It's brilliant for photo opportunities too - I love that one of me by the huge Red Army soldier statue, I look like a small child. 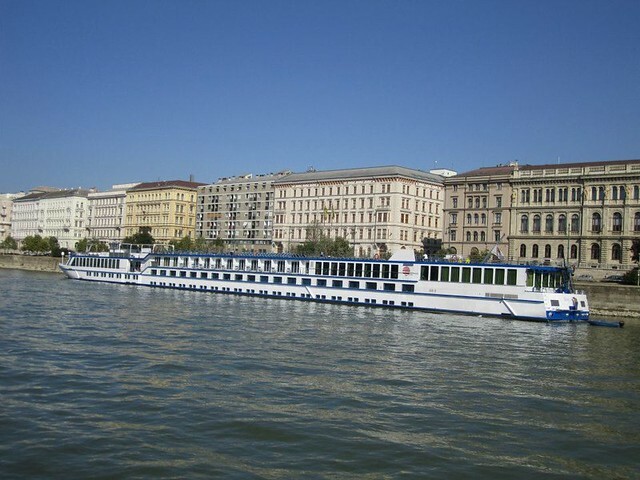 A river cruise is a staple for me and B - every time we visit a city with a river we always end up on a boat, haha. Like most of these places there are several river cruise companies to choose from, we went for the Duna Bella Legenda daytime cruise, it had audio commentary on headphones (in English obviously....my Hungarian is emm non-existant) and a free drink and took us along the river past the Buda and Pest areas of the city lasting about an hour and a half. You can go on a tour of the inside of the parliament building (when not in session) but we just went for a walk around the grounds. It's a really beautiful building and there are some lovely well kept gardens too which were perfect for chilling out on a relaxing afternoon. A walk over this bridge is essential - it's a lovely little romantic walk, especially if the sun is setting or it's nighttime and all the pretty lights are on across the city. 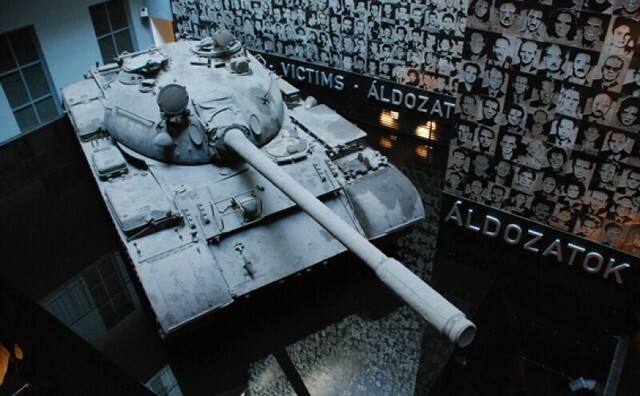 This might not sound like a fun holiday activity but the House of Terror museum was incredibly interesting and I'd definitely recommend paying it a visit. 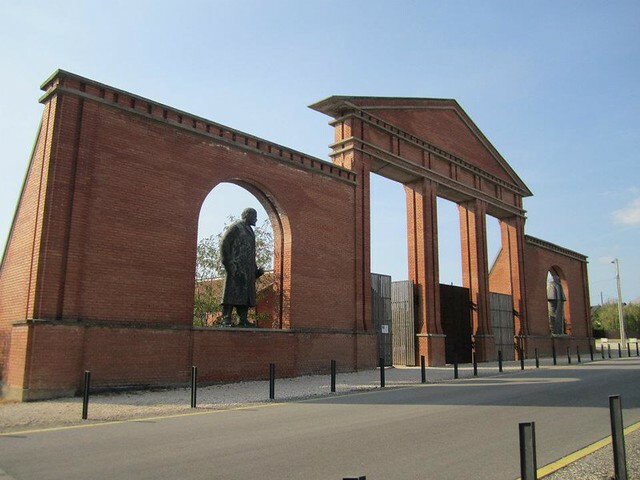 It's part museum about the communist and fascist dicatorship in 20th century Hungary, and part memorial for the victims of the regime (some who were killed in the building). Under 25s get in for a discount so if you're lucky enough to still be that young then it's a cheap day out (annoyingly as B's birthday is 7 months after mine he was still 25 at the time whilst I had to pay full price....like I was out with my toy boy). As bad as it sounds, the best bit of the museum is the tour of the cells - again it's a really eery experience but fascinating all the same. 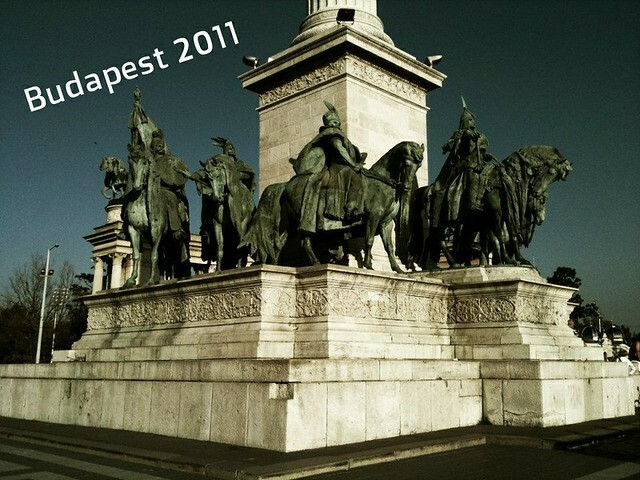 So there we go, that's my picks of Budapest. I hope you liked this wee peek into my holiday past - I might dig in my travelling archives again at some point as this was quite fun (and it's made me even more excited about my holiday to Berlin & Frankfurt in September!). 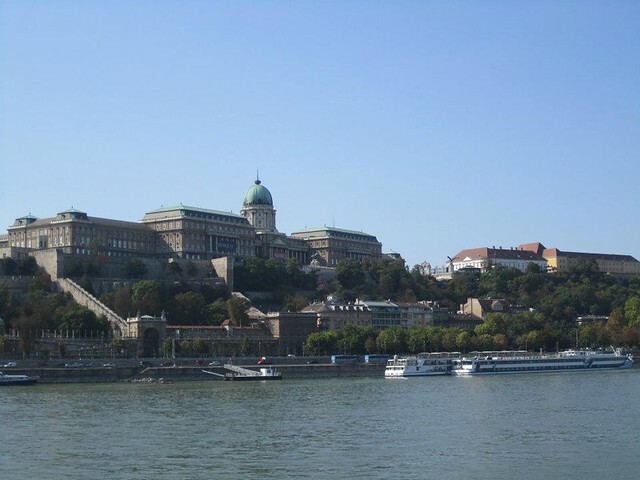 I absolutely love traveling to Budapest! I'm planning to go back this year.